DuPont is a major science corporation that works in order to invent products and discover and utilize more Eco-friendly processes to create different goods. Since 1994, DuPont has put in constant efforts to find ways of reducing greenhouse exposure to the atmosphere and has managed to reduce its energy use by 72%. DuPont currently produces two types of surface materials: one is called DuPont Corian, and the other is called DuPont Zodiaq Quartz. Although it has helped produce multiple goods, the company has recently turned attention to its revolution in its Corian surfaces. The surface, consisting of acrylic polymer and alumina trihydrate, can be used anywhere from a laboratory to a kitchen. The material is non porous, hence an advantage for use in specialized conditions. Its shape can be easily altered at 300 degrees Fahrenheit, and there are multiple variations of styles and colors that it comes in. This however, is just what the Corian surface used to be. DuPont recently teamed up with the Power Matters Alliance to revolutionize this simple material. The Corian surface can be used for baths, kitchens, anywhere from restaurants to your home. The Power Matters Alliance is a corporation who specializes in wireless power transfer. They have joined with DuPont in order to incorporate wireless technology into Corian counter-tops. The wireless power is used in order to charge certain utilities like a phone. The feature of wireless charging doesn’t need to be included in the purchase. This idea could completely alter the production ideas for DuPont, and can lead to adding wireless charging for other furniture. Imagine that. Just placing your phone on your kitchen counter or your desk, and having your battery percentage go up after you pick it up. This means no hassle in looking for your charger, or even when you have your charger, having to deal with too short of a cable. You always had some sort of way to charge you or your friend’s phones. DuPont, however, also has another solid surface they produce called Zodiaq Quartz Surfaces. These counter tops are unique because they are 93% pure quartz crystal and are very strong and scratch resistant. They come in striking patterns and can make any kitchen or bath stand out with the material’s depth. This surface has many advantages to it compared to other quartz counters. It doesn’t support microbial growth and is very nonporous. The Corian surface strongly demonstrates everything the Zodiaq Quartz does, moderately does, and doesn’t. It is clearly the more efficient choice, but the Zodiac Quartz is still an excellent substitute for a brand other than DuPont. 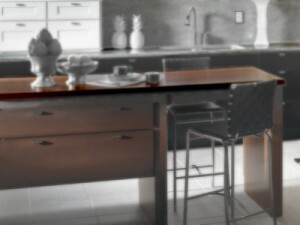 Both surfaces are a great choice for remodeling and are made by DuPont, an Eco-friendly corporation. ASA Cabinets is a proud supplier of DuPont Corian surfaces and counter tops. Come into our showroom and see some beautiful examples for yourself. Homeowners trust us and Builders recommend us.